You might think it'd change the world for the better, and everyone would be thrilled to bits. But when Stephen Mangan, playing Sidney Stratton, invents a magical fabric that never gets dirty and never wears out, chaos ensues. It's all very well inventing stuff like this, but what'll happen to all the people, the workers, the unions and the bosses, and the mills they work in? 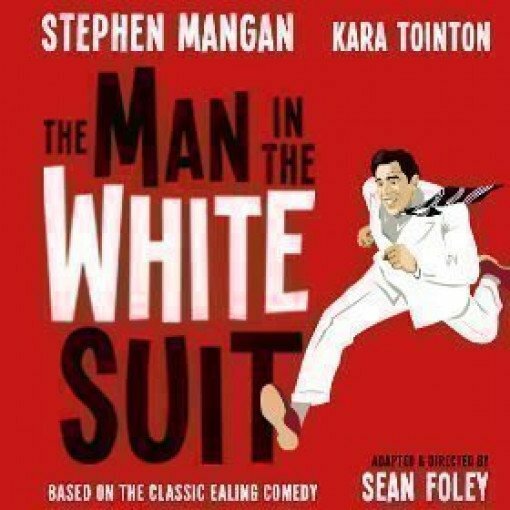 Welcome to The Man in the White Suit, originally a 1950s Ealing Comedy film and now brought to the stage by the excellent Sean Foley, who also put on the stage version of the legendary Ealing Comedy, The Ladykillers. The result is a rip-roaring, fun adventure that, like the original movie, is set in quirky 1950s Britain. The only person who gets the potential of Sidney's remarkable invention is Daphne, the mill owner's daughter, played by Kara Tointon. She's on Stratton's side, his only saviour when the bosses and workers chase him around the streets in his amazing white suit with murder on their minds, infuriated by its purity and the way it repels every kind of dirt. Stephen Mangan and Sean Foley have collaborated before, namely on the Olivier award-winning production Jeeves and Wooster. Mangan has also scored big critical hits with The Birthday Party and The Norman Conquests, and he's a Tony nominee. And of course he wowed us in one of the best-loved and most quirky alternative TV comedy series ever – Green Wing. It's so great to see one of the best-loved Ealing Comedy films enjoying a resurgence in popularity, thanks to Sean Foley. 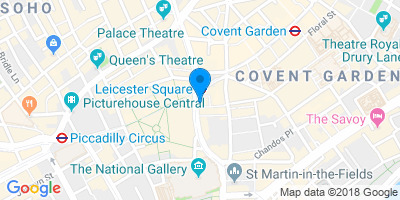 You'll find it at the Wyndham's theatre, on stage from early October 2019, a comedy treat that delivers laugh after laugh. Sean Foley has scored equally big theatrical hits in recent times thanks to his sterling work on The Dresser, The Miser, and The Painkiller. He's a double Olivier-winner and has just accepted the role of new Artistic Director at the Birmingham Repertory theatre. Kara Tointon has recently delighted audiences with roles in Shakespeare's Twelfth Night for the Royal Shakespeare Company, in Alan Ayckbourn’s two plays Relatively Speaking and Absent Friends, and as Eliza in Pygmalion. This comedy has a serious message behind it as well as being madly funny and wonderfully silly. It examines what happens when people who are usually at each other's throats discover a shared threat to their interests, and also looks at how great inventions are sometimes knocked back because the money-grabbing 'Establishment' prefers things to stay the way they are. A sophisticated farce with a friendly face and great British comedy credentials, it's played out against a background of 1950s skiffle tunes. The madcap fun kicks off in the capital on 8th October. Enjoy!